M1-GO GMK Godzilla Vinyl! PRE-ORDER! | The Kaiju Fan Marketplace! M1-GO GMK Godzilla Vinyl! PRE-ORDER! March 24, 2015 March 24, 2015 / Jon D. B. This is it! One of the coolest vinyl reissues we’ve offered. An incredible repaint of the classic M1 GMK Goji, one of the coolest vinyls to ever hit the market! Don’t miss out on this awesome piece at a superb price! PRE-ORDER for October at $59.99! Remember, you don’t pay until the items are in stock! 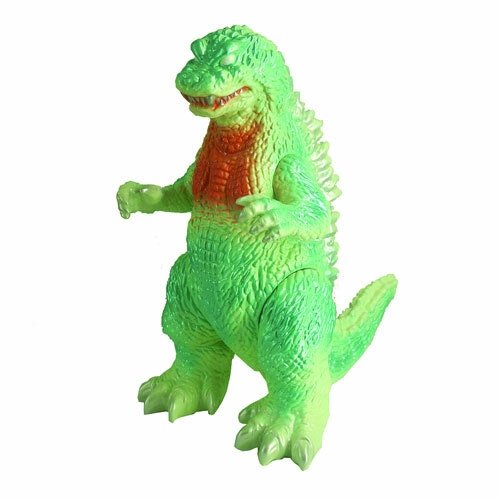 ← EXCLUSIVE: Marmit Monster Heaven “Artwork” Godzilla Vinyl!